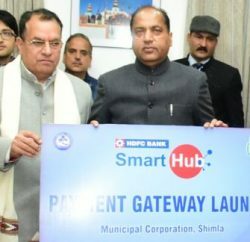 In a major development for the better transportation in Shimla city, Global Energy Basil (GBL) of Germany has shown interest in Rs 3,000cr comprehensive mobility plan prepared by Shimla Municipal Corporation. 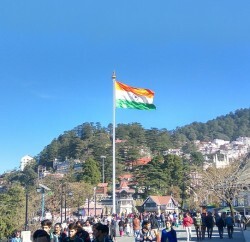 GBL has shortlisted Shimla for funding purpose and invited Shimla Municipal Corporation for presentation in January. Shimla town faces a serious problem of traffic congestion due to peculiar geography and age-old construction. To decongest Shimla, Himachal Pradesh government has decided to form satellite towns on the outskirts to save original character of the city which otherwise is bursting at seams with over-population and over-construction. 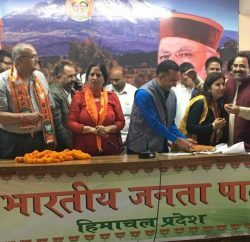 Three satellite towns have been proposed at Vaknaghat on Shimla-Chandigarh highway, Fagu on Shimla-Rampur highway and Ghandal in-between Ghanahatti and Shalaghat on Shimla-Bilaspur highway. If GBL agrees to fund the comprehensive mobility plan of Shimla, the city would get relief from traffic congestion and pollution. Prior it, GBL has already funded around 40 such projects in other parts of the world, including Beijing, Kampala and Islamabad. Comprehensive mobility plan submitted to Global Energy Basil has provision of regulating 48,000 vehicles in the city in a planned manner. Submitted plan has the provision for ropeways at the cost of $623 million and tunnels estimated at $63 million.